A true American classic. You may remember watching the eyes and tail moving back and forth when this clock hung in a kitchen from your childhood. 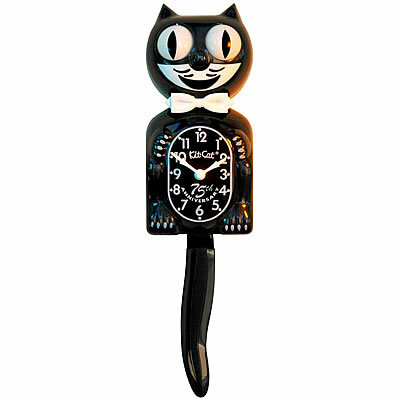 The Kit-Kat clock is a classic Art Deco design that has been around since the 1930s. Children love this clock, too. 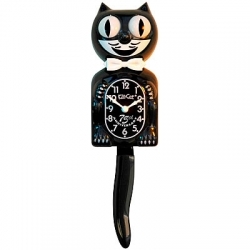 This cat clock is sure to make you smile. Requires 2 C batteries (not included).